Transport Minister Kailash Gehlot flags off 3rd Electric Bus ‘Olectra-BYD K9’ in National Capital! New Delhi : In a move to combat the increasing pollution levels in the capital city of India, the State Government of Delhi today initiated the trials of zero emission and noise free Olectra-BYD’s 12 Meter electric bus – eBuzz K9 with 35+1 (Driver) seating capacity. 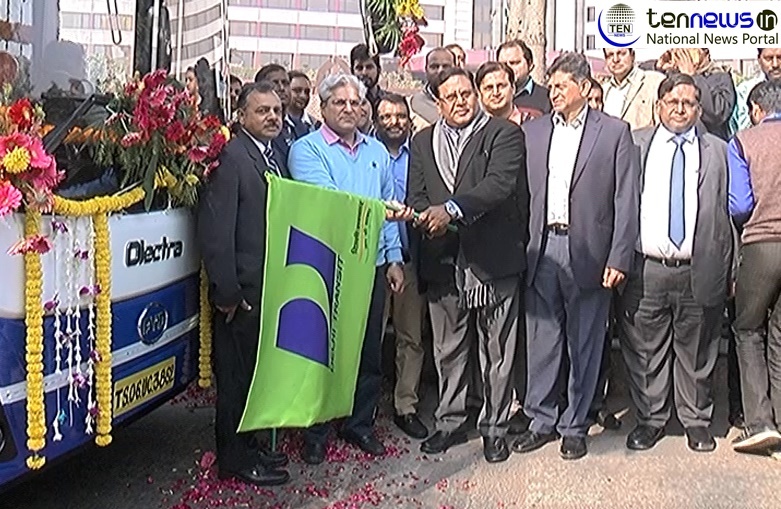 Flagged off by the Transport Minister of Delhi, Kailash Gahlot from Delhi Secretariat, the state-of-the-art ‘Make in India’ eBuzz K9 from Olectra-BYD will run on route number 534 between Anand Vihar ISBT to Mehrauli Terminal. These trials, which will be conducted for 3 months, will enable the authorities to evaluate the efficiency and competency of bus in the standard road conditions of Delhi. Transport Minister Kailash Gehlot flags off 3rd Electric Bus 'Olectra-BYD K9' in National Capital! Madhur Bhandarkar, Archana Puran Singh Launches ‘TALENT HUNT’ by Midaas Group in Delhi!